For those souls that aren't starstruck by Jamberry Nails yet to know about their Sister's Style Exclusive, they release a different design every month that is only available to buy during that month. 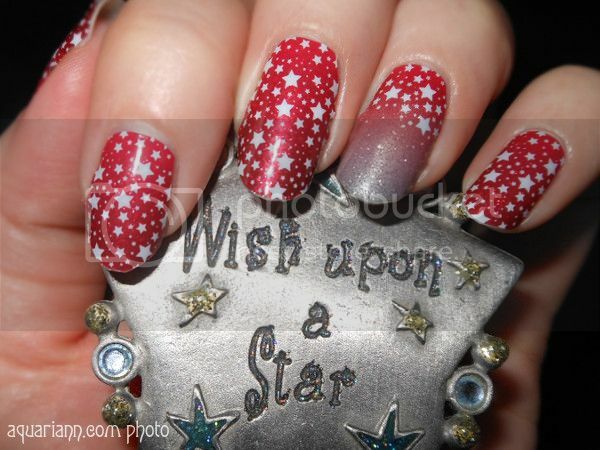 June's star nail art dazzled me instantly! I didn't have to gaze very long at it to decide that was the 4th of July manicure for me, especially after seeing it was named "Born to Sparkle." As Jamberry described, "This month's Sister Style comes straight from the sky. Inspired by glimmering, shimmering stars, these nail wraps are a funky take on the night sky and feature an assortment of constellations, incorporating glamorous red glitter flecks and silver ombre sparkle. This is a 'There's More' design and features multiple patterns on each sheet." Half the nails wraps are red, and the rest are like the accent nail on my ring finger. That means I have enough left to repeat this manicure next Independence Day, but the ombre effect will shine on most fingers. Thank goodness I live in a country where I'm free to sparkle! Celebrate your freedom to win a sheet of Jamberry nail wraps by entering Tanya Masse's beauty giveaway before July 20, 2014 at 11:59pm EST. Want to be a guest blogger for my Manicure Monday when I don't have new nails of my own to show off? Please contact me using the form on my contact page if you're interested in a free feature. 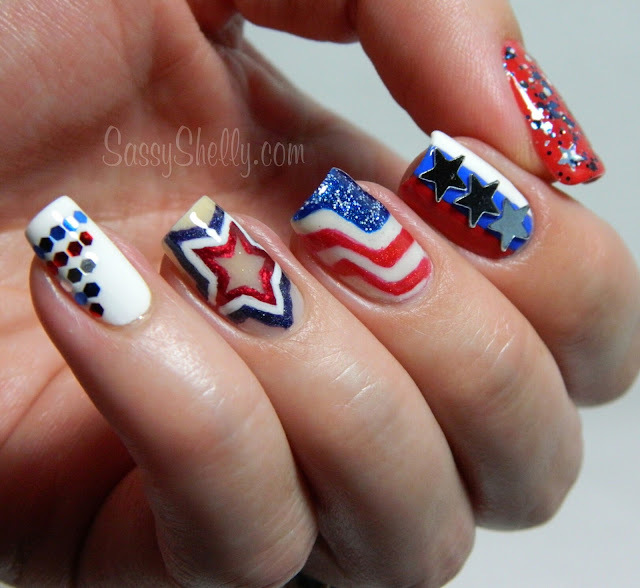 Or if you've done a patriotic manicure in the past, comment with the link and I'll add it to my featured finds below. Your nails are absolutely perfect for the 4th of July! I'm the worst when it comes to polish and love nail wraps as an alternative. Looks like Jamberry has a lot of cute styles! They look great. Very flashy. I love the stars, and the extra-added silver ombre is perfect! gorgeous nails! I love the look of them, so patriotic!